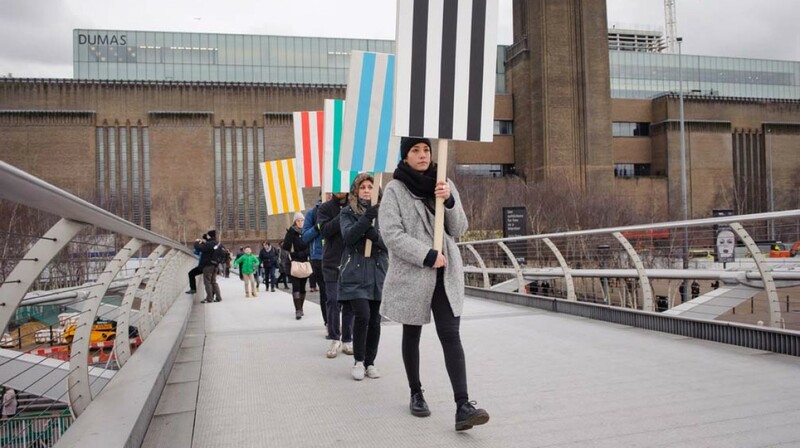 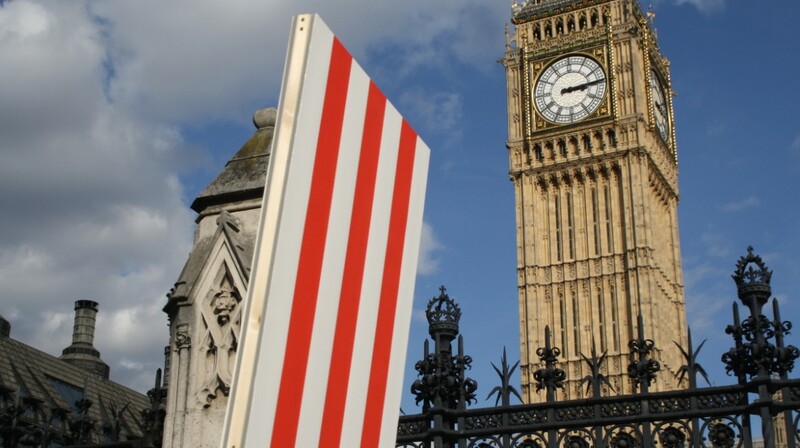 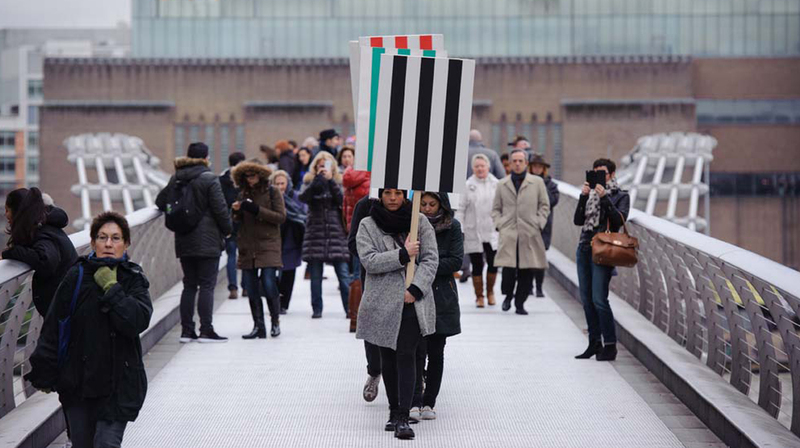 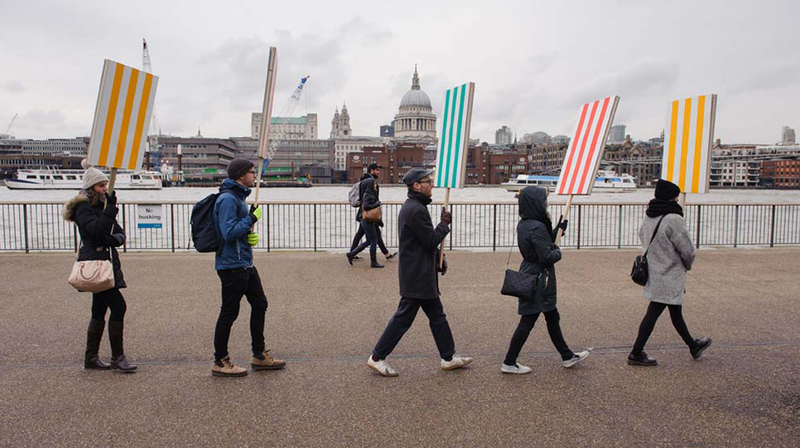 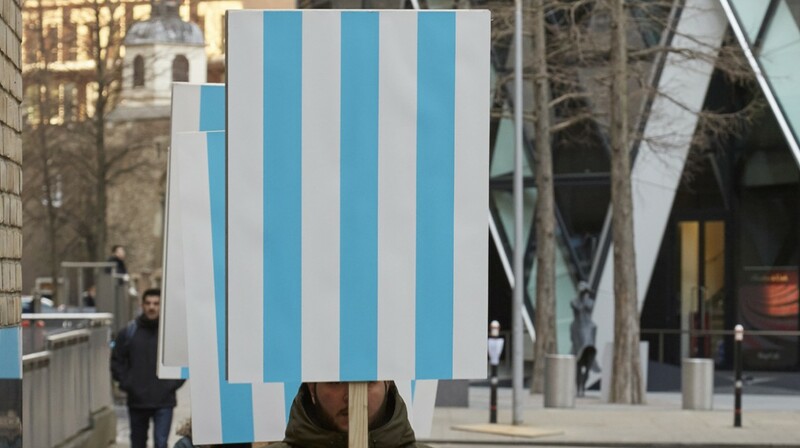 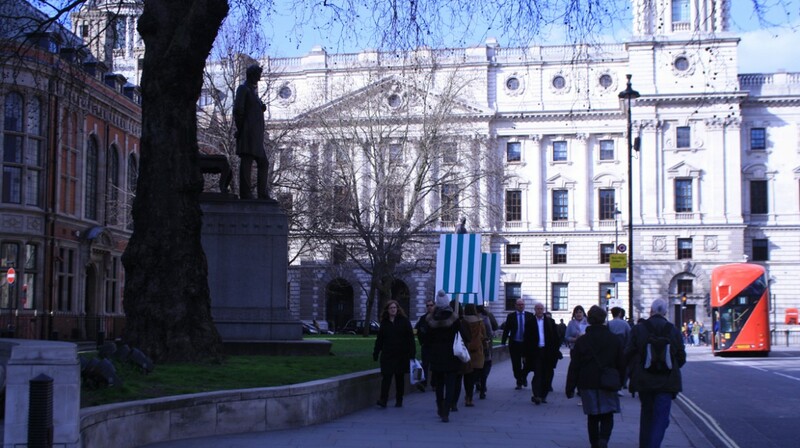 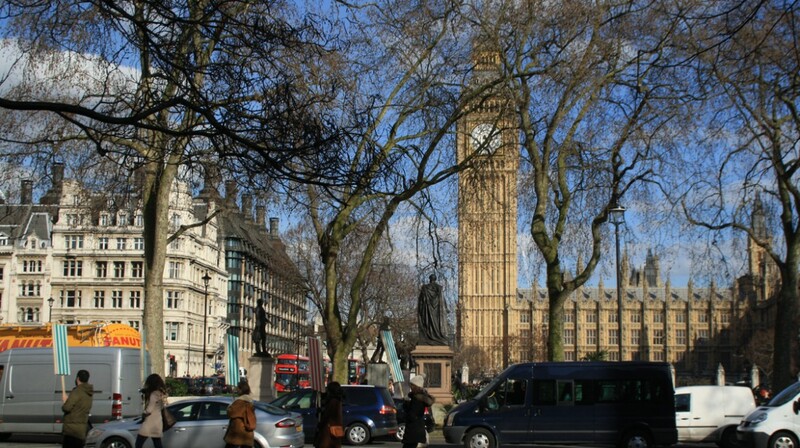 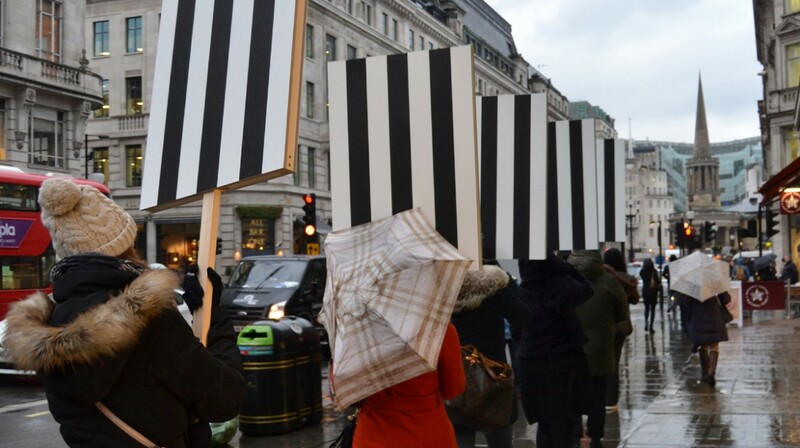 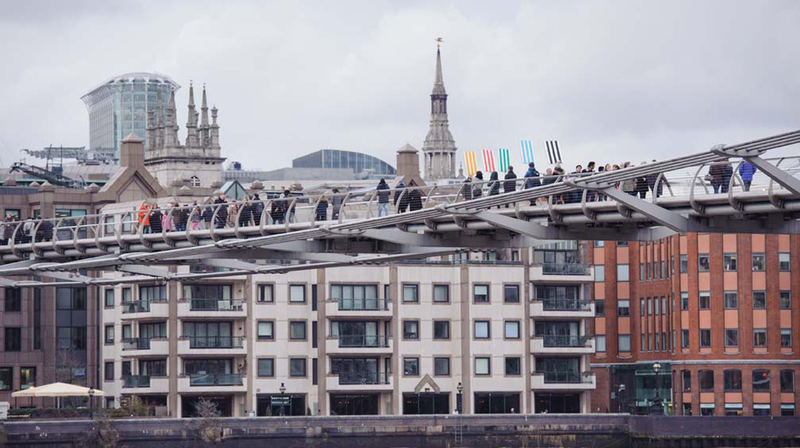 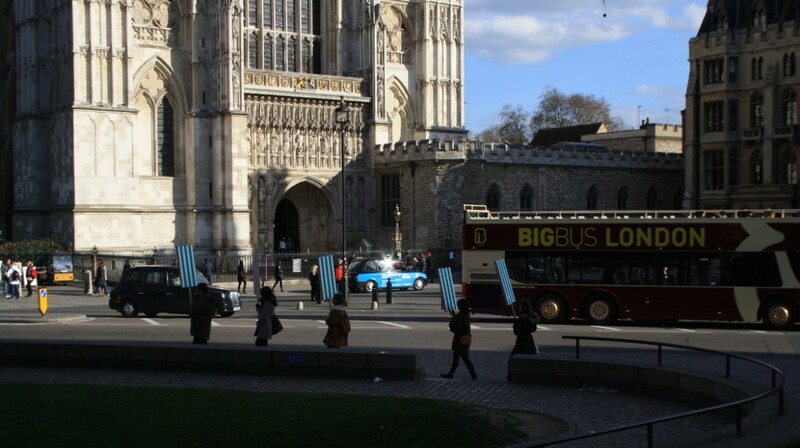 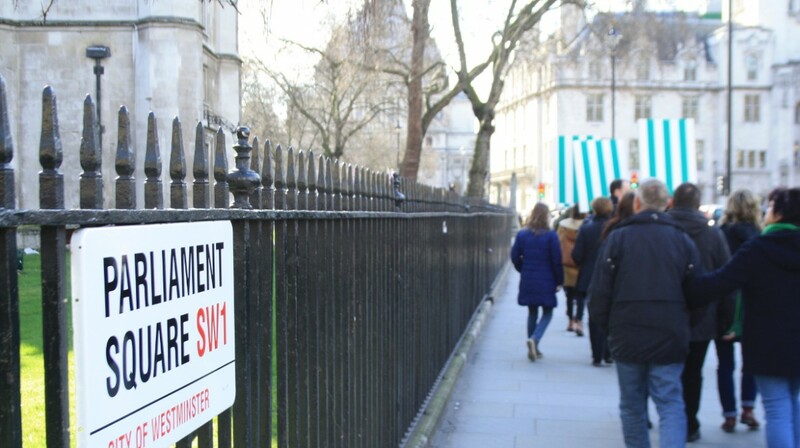 For Ballets in London, performed throughout January, February and March 2015, performers carry colourful striped placards to create an abstract protest at landmarks across London. 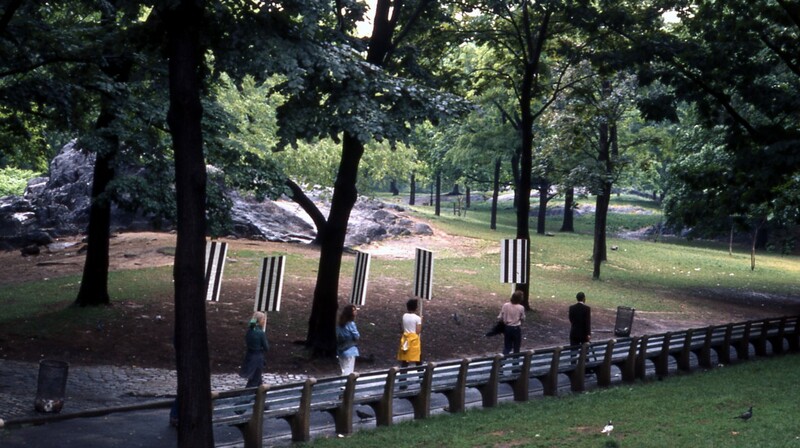 The performances are a re-staging of Daniel Buren’s iconic work Seven Ballets in Manhattan, first staged in New York in 1975. 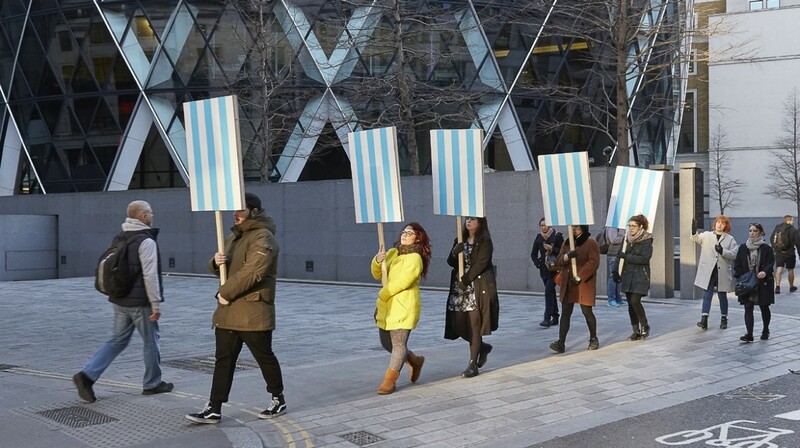 Produced in collaboration with students from The Cass, London Metropolitan University and Whitechapel Gallery MA Curating the Contemporary course.